Miniature has been a hobby of mine for five years. It began with a Japanese miniature craft book I spotted while I was browsing in a book store in a Tuesday afternoon. It was love at first sight. I didn't know the extent this discovery could have brought me, but I must say it is one of the most enjoyable time that I have spent, pulling all nighters crafting. I stayed up not because I have an urgent deadline to meet, but the keen fascination I have on creating something that is so small you can put it on the tip of your hand, yet still full of detail as if it was in real life scale. Below are 3 amazingly talented miniaturist that I admire. They have given me lots of inspirations in this hobby I'm passionate about. And every time I see their new work I am in awe with the texture, composition and skills that they have achieved. Do check out their websites, they are truly gifted artists. I would describe Tomo Tanaka as the King of miniature. 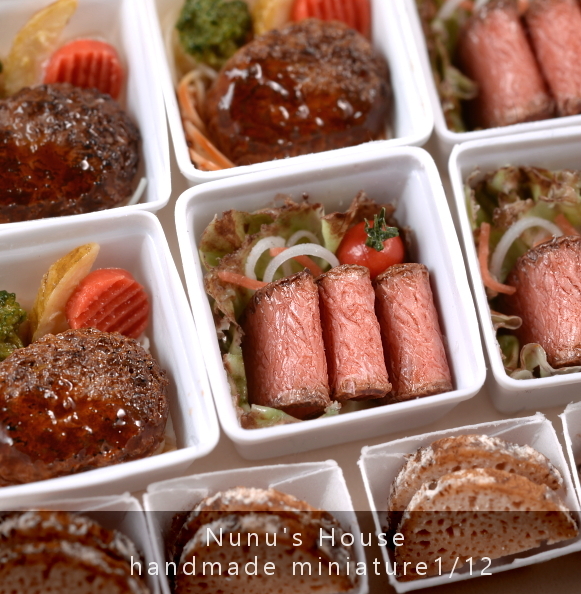 Even now I still mistakenly think the food from his photos is real, if you don't tell me it is from his blog. Above is one of the many examples of his outstanding skills in creating a convincible gourmet dish that you wish you can eat. Just look at the texturing! I have been following Stephaine from the very beginning of my miniature adventure. The playfulness and cheerfulness of her creations warms my heart. I also like the way she photographed with a shallow depth of field that makes her work stands out. 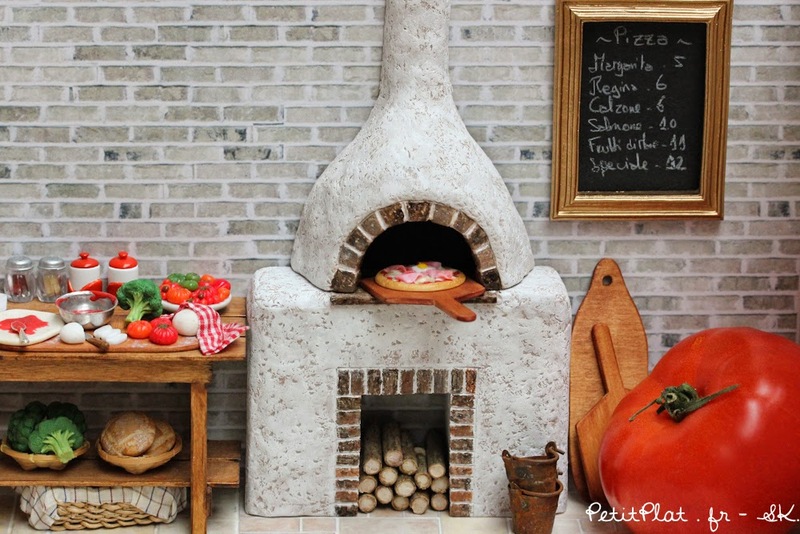 And you just have to love the way she show the scale with everyday food objects! 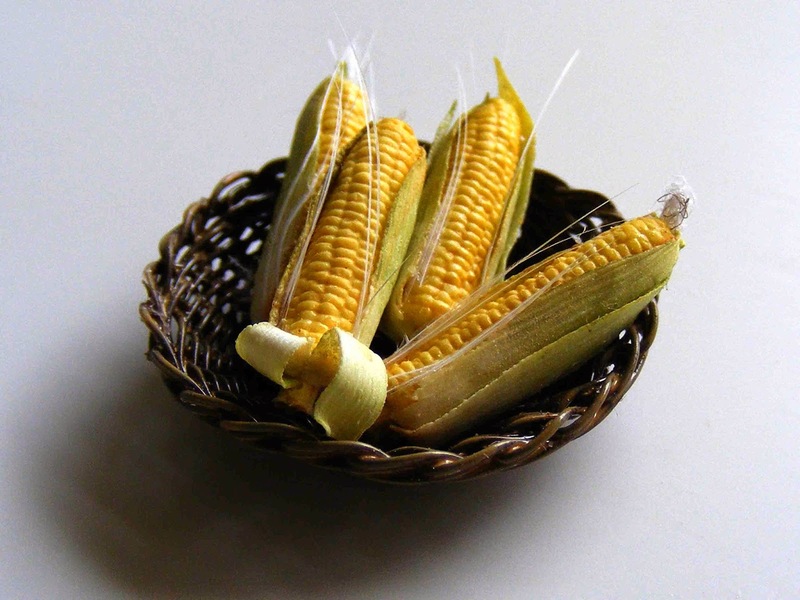 Look at the texture details, that is just remarkable how Bözse can make the corns look so realistic. I imagine her spending a long time arranging the kernels with care. That must have required a lot of patience. Great work Bözse! Thank you for creating your amazing work! Thank you! It means a lot to me standing beside two of the most talented miniaturists I adore, too. As for my patience, my kids think I have no such thing at all.